kiwisa (North Shore, New Zealand) on 26 August 2013 in Plant & Nature and Portfolio. 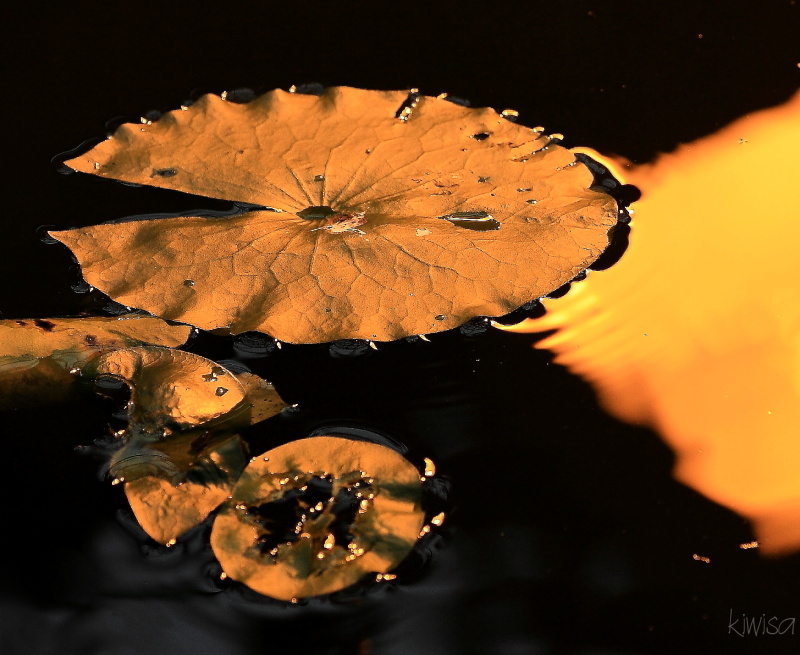 Love the golden light above the waterlily pond in the Winter Gardens. Yes, look like gold drops... Very lovely choice for this monday sharing. Very beautiful ! Superb composition and tones ! Marvelous composition and colors. A wonderful photo job here. Excellent. Wonderful composition with the triangle on the right. Absolutely wonderful ... the golden tones and light are gorgeous !!! @Baldwin Vandewalle: Thanks Baldwin. Nice to see you back. Congrats on the Color Spotlight, Frances - like liquid gold for sure ! @Ronnie 2¢: Aah thanks - just imagine if it were real gold just lying there for me to pick up instead of photograph. Superb frame and colors, great exposure! Perfect title for this beautiful composition. congrats on the color spotlight. @Julie L. Brown: Thanks for your visit and comment. excellent picture with this framing, light and stunning color. congrats. Félicitations pour le Color Spotlight!!! Bravo pour ce superbe spotlight color!!! Très joli cadrage, des ocres superbes et une composition très séduisante ! ...and congratulations on the color spotligt !! Congratulations on the color spotlight ! Wonderful shot! Congratulations for the color spotlight. Splendid ! Congrats on your spotlight !